Welcome to the English CentiPad Website. Not all information is available in English, yet. Please contact info@centipad.de for any further questions. You're planning a VoIP, Motion Control or embedded Webserver application? 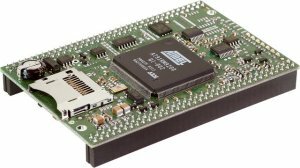 Our powerful development platforms offers an optimum entry into the CentiPad Embedded Linux Module product family. Never before was the start into the Embedded Linux World so easy: start your first Embedded Linux within minutes – simple with the Embedded Linux development system for CentiPad. Long production life: you do not care to fix your software for new hardware every few month? CentiPad targets on a long production life of proven hardware components. Compare our CentiPad to other AT91RM9200 Boards @ www.at91.com.